The residents of our Northridge, CA apartments often have visitors. As anyone who's ever traveled knows, it's easy to forget everyday essentials, but hosts don't always know what kind of things their guests will need to feel comfortable. With this mind, we've come up with a few elements that should be included in everyone's overnight welcome basket. Nobody wants to discover they neglected to bring one of the most important elements of good hygiene as they're settling in for a good night's sleep. Avoid a last-minute run to the convenience store by having toothpaste and toothbrushes ready, just in case they didn't make it into your guests' overnight bags. Traveling with liquids is difficult for so many reasons. If they're carried onto a plane, they have to come in such miniature versions that they won't last more than a few days. If they're stowed inside luggage, there's a high likelihood they'll leak goo all over the place. Remove the stress of either situation by supplying your visitors with the liquid shower stuff they'll need to feel clean. Shower loofahs are seldom remembered when packing happens because people need to prepare ahead of time or suffer the wrath of a wet shower sponge inside their suitcases. Keep a few loofahs in stock so you can toss one in the basket when you know you'll have an overnight guest. While you might not have any problem with your guests helping themselves to your space, they might feel uncomfortable rummaging through your belongings in search of clean towels and washcloths. 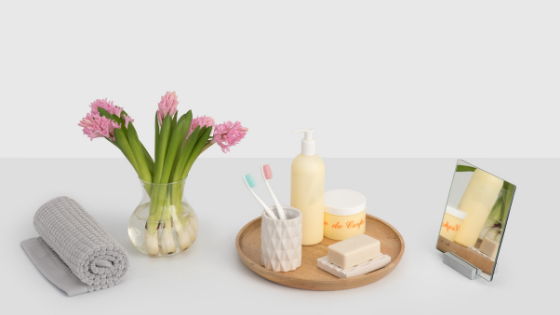 Put these items front and center in your guests' welcome baskets so they can easily grab them when they're ready to hop in the shower. Shelf-safe snacks are great for midnight cravings that might occur. It's a nice touch to offer a few items people can munch on when they're decompressing during their visit. Chips, peanuts, candy and granola bars are great options for shelf-stable foods that can satisfy unexpected hunger pangs. Our Candlewood North community is filled with beautiful living spaces that'll welcome your guests with open arms. Take a look at our available floor plans today!